Back to school is an exciting time for kids and parents. While kids may combine that they dread going back to the classroom, kids do enjoy seeing their friends and meeting new teachers. Wrapped in all this excitement can be a small amount of apprehension. Unfortunately, some families may not have the funds to purchase all the needed school supplies that are needed for the school year. 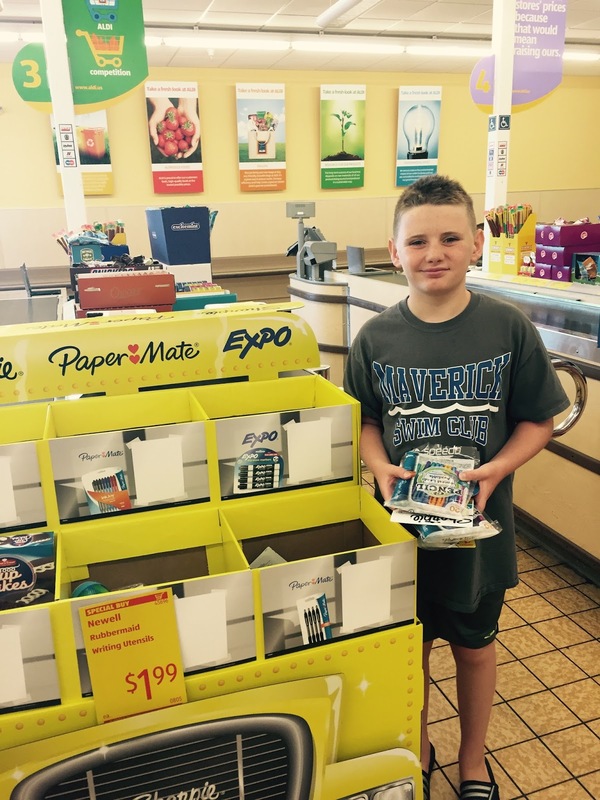 Our family is proud to be part of #GivingBackPacks, #AldiGivesBack. 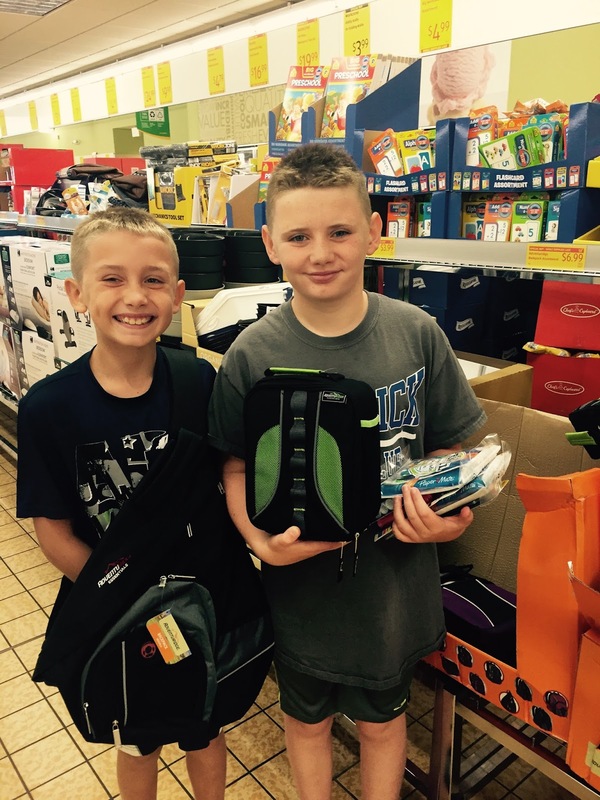 For the past three years, our family has joined others in the annual giving back packs back to school campaign. The concept is simple. 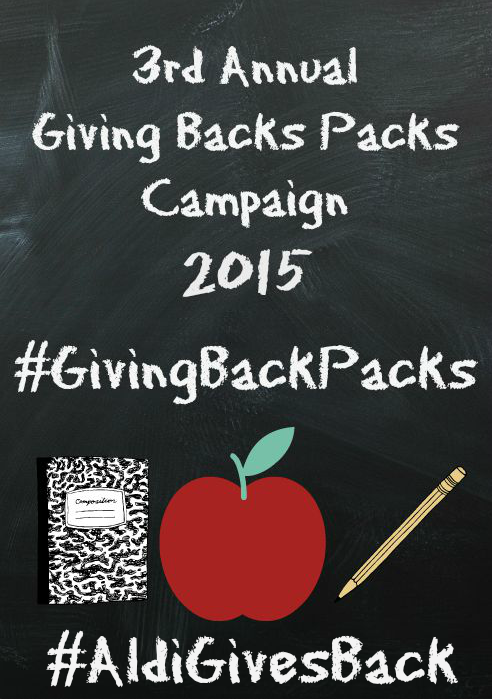 Take $25 and fill a backpack with school supplies for a deserving child or organization. This year, Aldi has sponsored the annual back pack campaign. As our family goes back to school this week, my kids and I went to Aldi to fill a backpack for our school. With $25, we were able to purchase a backpack, lunch box tons of pencils, pens, highlighters and Post-It notes. The back pack is jammed full with goodies for a deserving student. Many of our family friends are school teachers and school administrators. Putting aside the debate over school funding, school teachers spend their own money on school supplies each and every year. It could be extra tissues during allergy season to more dry erase markers, teachers often used their hard earned money to provide for kids. Our giving back pack is two fold. First, we fill a bag with school supplies that the classroom needs. It can be tissues, hand sanitizer, wipes, and even headphones (yes, the kids need headphones for tests). 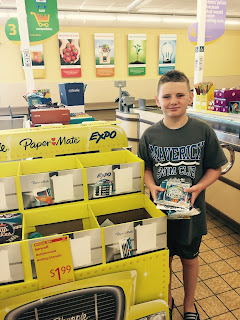 Aldi offers great deals on these classroom staples. Second, we filled a back pack for a child at our school. This back pack will be presented to the school social worker on the meet & greet day. There are many children who don't get a new back pack each year. Families can't afford them, a family member is sick or there is some other conflict that makes back to school time an unhappy one. Allowing our school social worker to put the back pack where it is most needed is a great way to make sure that our school is helped. Now, I admit, we did go over our $25 budget. But, the idea is to make sure that kids are helped going back to school. In the grand scheme of things, a little extra money to a worthy cause is money well spent. This back to school season, please consider adding a few extra school supplies to your shopping cart for kids who might need them. If you don't know a family in need, donate those extra pens and pencils to a teacher or to your school social worker. I'm sure that he or she will be grateful for the extras. Plus, your kids might be more appreciative of all they have this school year. 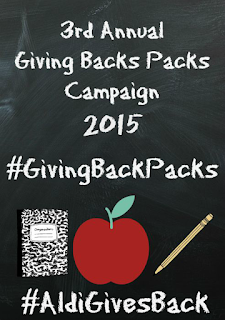 Do you have a #GivingBackPack story for the start of the school year? Share your thoughts in the comments section. Disclosure: Aldi provided a $25 gift card to purchase school supplies. All items purchased were donated to our local school. No additional compensation was given. All opinions are my own. I love when big brands give back. It always makes me want to support the brand. What a great idea! I know that kids get really excited about their school supplies and I think starting the school year on such a positive note is something that everyone will benefit from. I haven't ever been to ALDI before but it is nice to see them give back to the community like this! I have never been to an ALDI but I always hear great things. I love reading about corporations that do things like this school drive. Good company to support! This store continues to cement its number one spot in my world. This is a very valuable program that we all love. It is a great idea to make giving to others a part of life as you have done with your family. It is also great when corporations like Aldi help give to others in our communities.